Mwalimu Jecha is a fantastic teacher regardless of whether you are an advanced Swahili speaker or brand new to the language. I first met Jecha in 2005 when I spent two months doing intensive advanced training with him at the State University of Zanzibar. We met for four hours a day, five days a week, on a one-on-one basis. During these many hours of conversation, Jecha proved himself not only an adept language teacher but also became a friend. He was extremely flexible in his teaching methods, creating a personalized curriculum based on my interests in improving oral conversation skills in addition to working on translation from English-Swahili and Swahili-English. As a historian, it was important for me to be able to accurately translate documents, and Mwalimu Jecha was very accommodating of this specialized request. During the two months I worked with Jecha, my Swahili improved dramatically–from the tentative first stages of speaking comfortably, to interacting confidently (and for the most part) accurately. Mwalimu Jecha taught me for multiple months in 2008 and helped me acquire the language skills necessary to conduct in-depth economics research in Zanzibar. With his help, I gained the language skills and confidence needed to interact with government officials, manage research assistants and complete household level surveys across the island. Mwalimu Jecha is a gifted instructor and a selfless individual. After coming across his contact information online, I was in frequent communication with him over two months prior to departing for Zanzibar in June 2010. Mwalimu Jecha organised a homestay for me with a great local family, and we began lessons only two days after he returned from the University of Indiana. Jecha met me at my family’s home every day for two hours to conduct lessons. The lessons allowed me to learn more about Zanzibar, drastically improve my Swahili conversational skills, and increase my vocabulary. 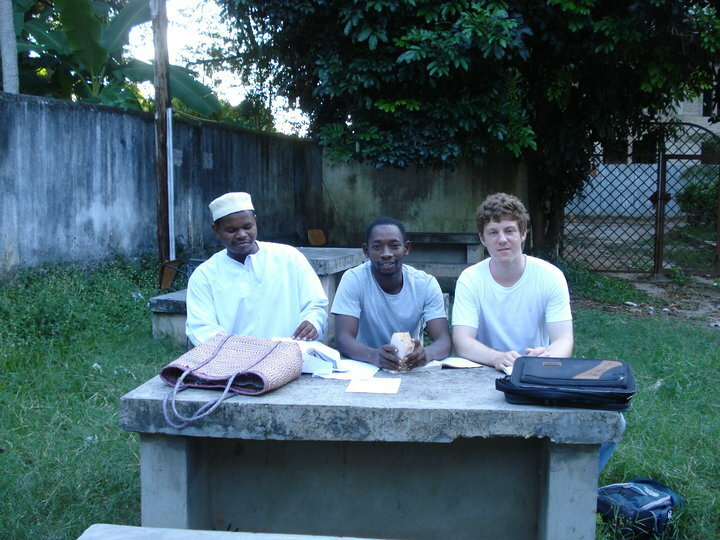 Simply put, my experiences in Zanzibar and with the Swahili language could not have happened without Mwalimu Jecha.